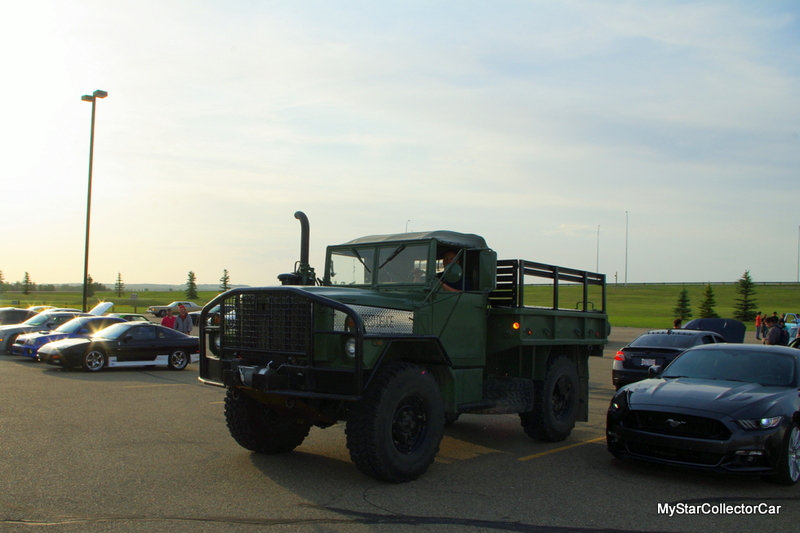 Large ex-military vehicles are a huge draw at any car show. 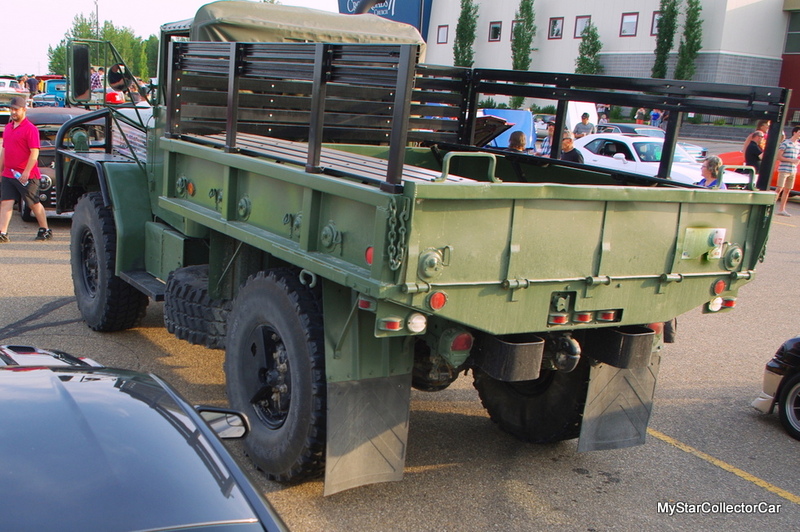 Their sheer size is a factor but military trucks are off the beaten path vehicles that don’t win beauty prizes so it isn’t the fancy paint job that gets them noticed. Their popularity comes from their history because military trucks weren’t used for a trip to the beach. 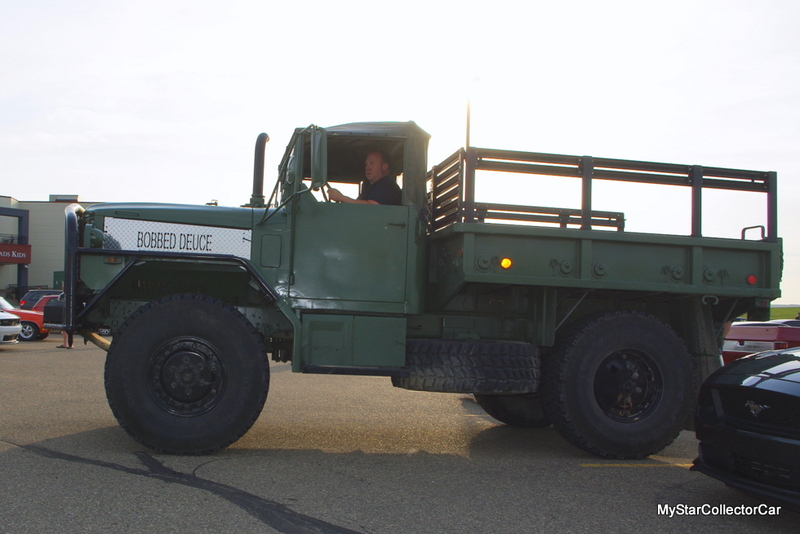 Rod Ceccato is the proud owner of this “Bob Deuce” M-35 two and half ton truck. 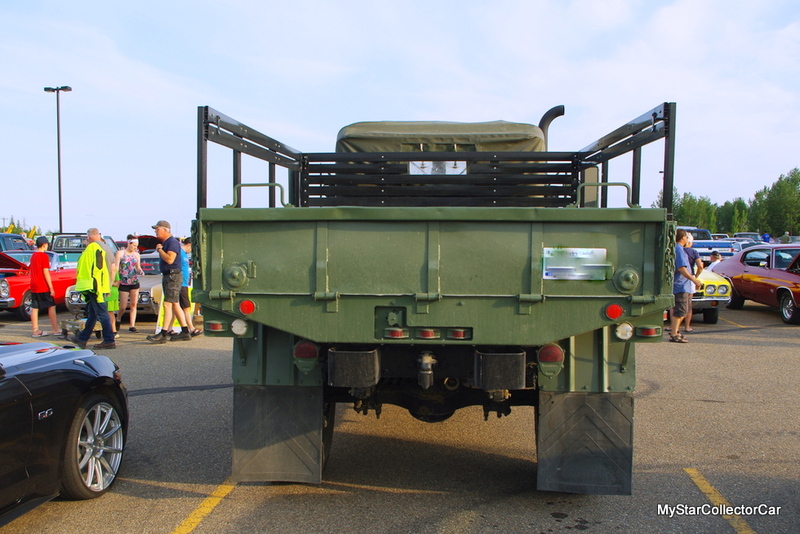 A bobbed deuce is a 2 ½ ton truck minus the second set of rear wheels and it’s a fairly recent trend in the world of ex-military trucks. Rod explained how this basically turns the truck into a “big 4×4” because the shortened rig feels more like a 4×4. 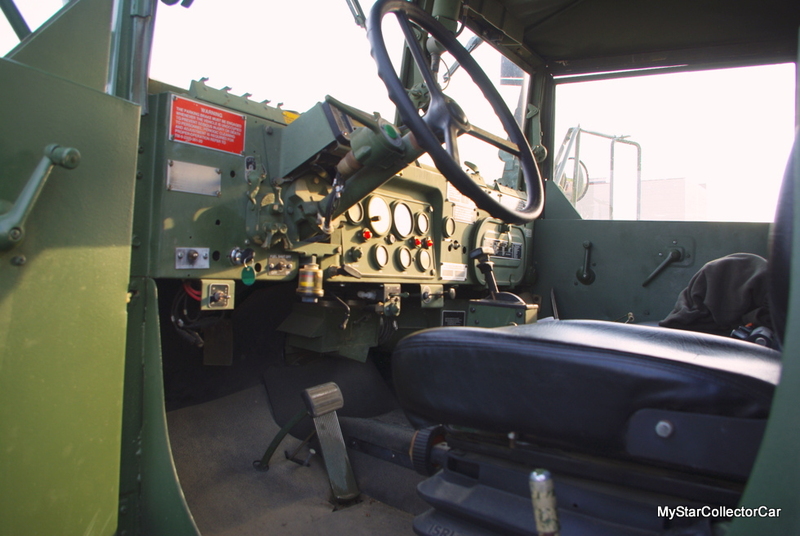 This M-35 was built in the 1950s and served in original form until 1994 when the US military did a “reset” on the old truck. 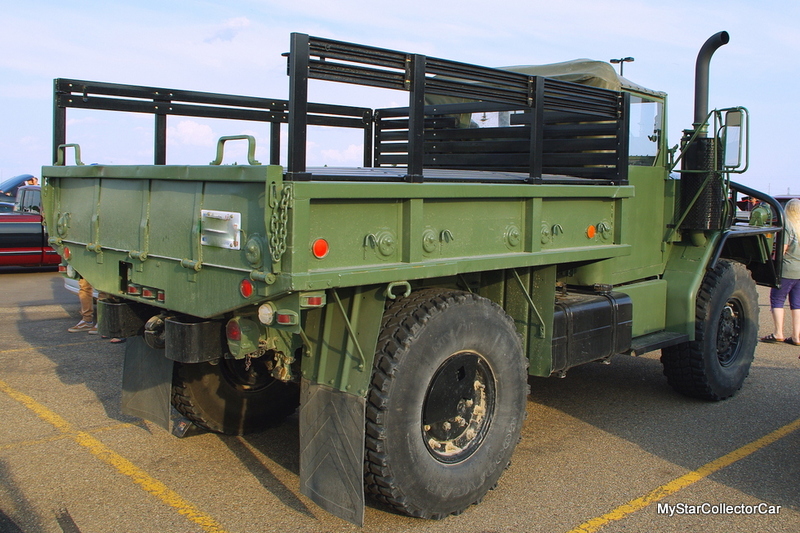 Basically a reset is a resto-mod in today’s terms so the truck was brought up to 90s standards specs and renamed an M-35 A3. 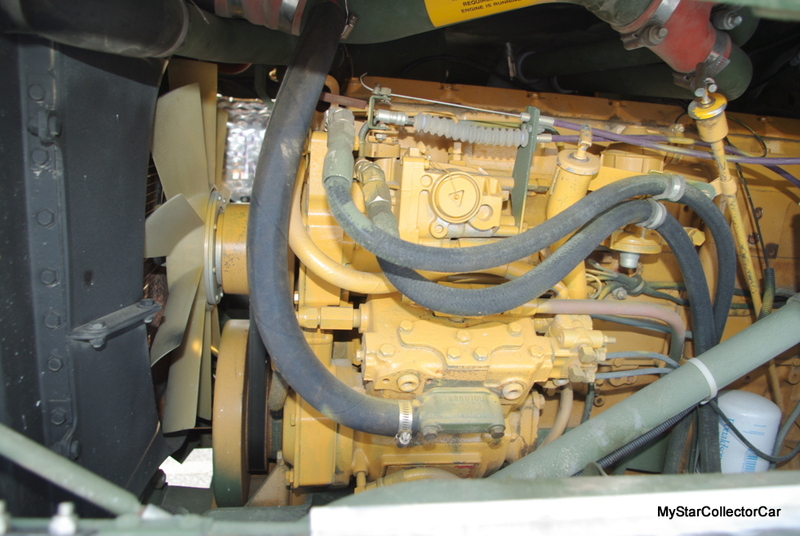 They put a 3116 Cat engine and a new Allison transmission in the truck and a few other upgrades like a central air pressure system that can set the tires up or down from a control in the cab depending on the field conditions. 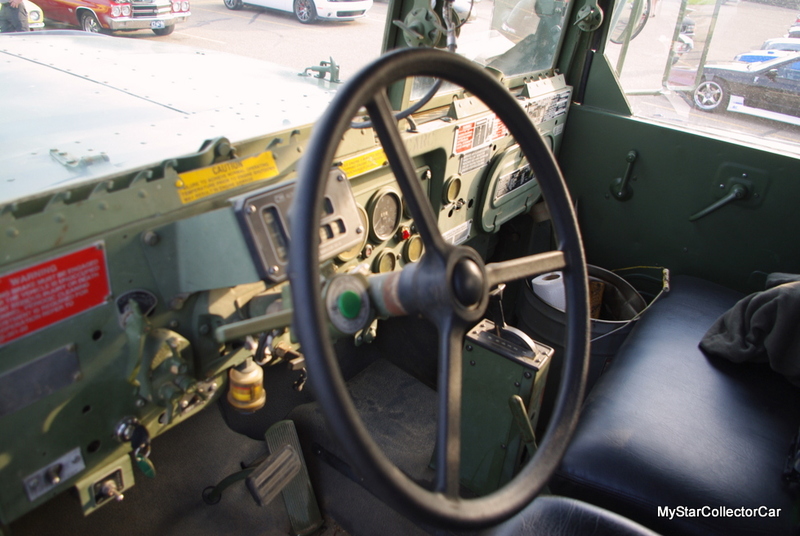 There’s also a vast array of gauges to go with all the new additions on the M-35.This is a relatively low mileage truck with only 87,000 miles and 500 hours after the reset but it hasn’t had an easy life in the 4-5 years after its well-maintained military environment. The M-35 was stored outside and it sat for long periods of time. There were two owners before Rod and he admitted it “wasn’t something he really wanted” but the Bob Deuce grew on him. 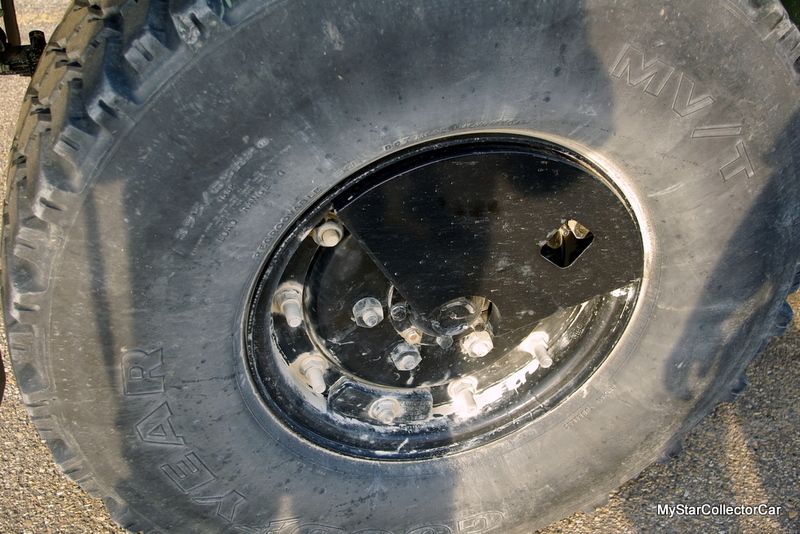 He concluded the truck was in decent shape but it had many minor issues to solve before it met his standards. 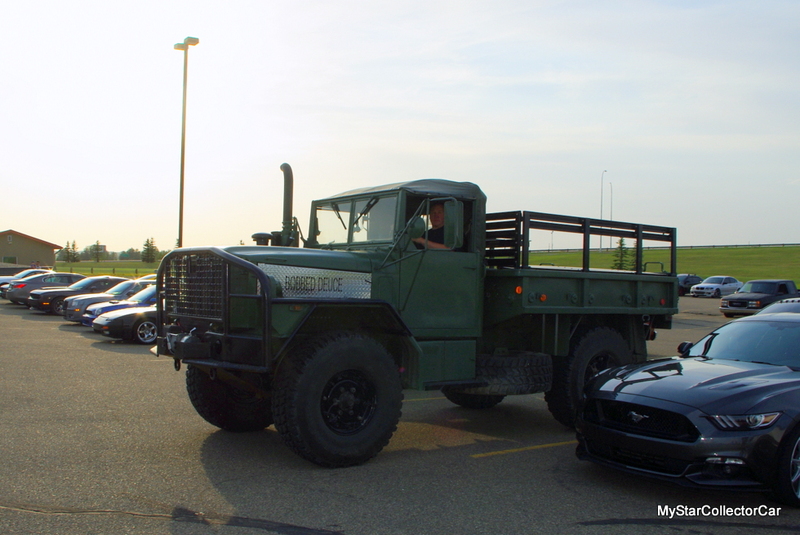 Rod focused on several issues because the “truck was abused from the neglect” so he had a huge checklist when he went over the M-35. He “serviced everything” so he drained the differentials, redid the wheel bearings and fixed a number of “little things” on the M-35. 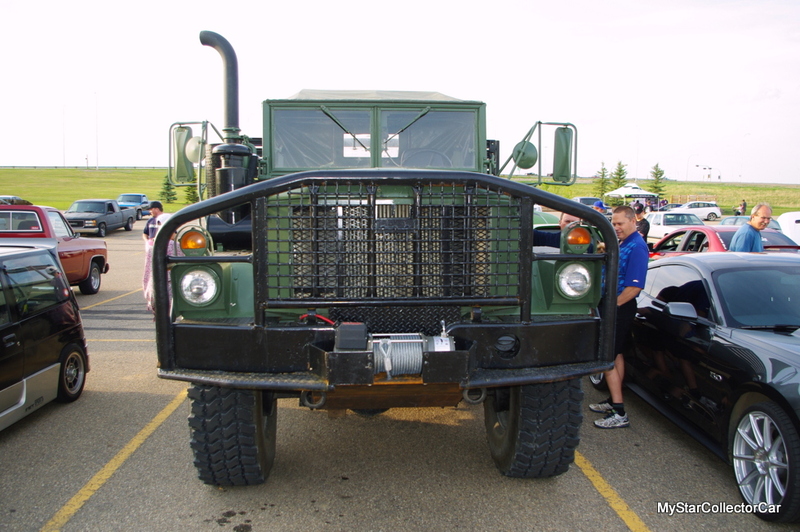 He also added a few custom touches like a hand-built grill guard and a winch pirated from another vehicle. The key to this whole project is simple—Rod wanted to get the truck up to a good level on extremely small budget. The $5.00 steering wheel is a great example of this theme but the real key to the low cost is Rod’s own talent with a wrench. Rod hadn’t owned the truck for a long time but he did learn fast how tricky this truck is to drive. It has vacuum brakes and power steering so Rod said, “you gotta learn how to drive them, especially on ice because it’s dangerous when you go slow because it wants to swap ends and it tops out at 54 miles per hour”. That driving experience hasn’t had any impact on Rod’s confidence because he’s planned a big adventure for the M-35. 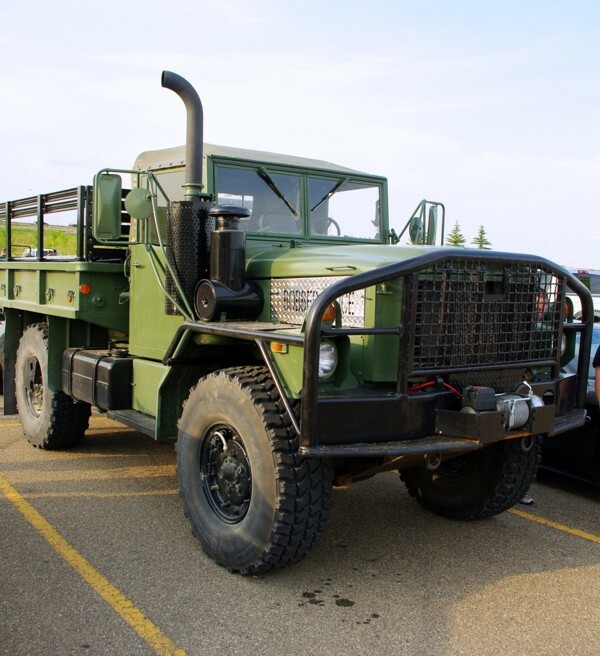 He wants to drive it from Dawson City, Yukon to the Arctic Ocean on a new road to the north. 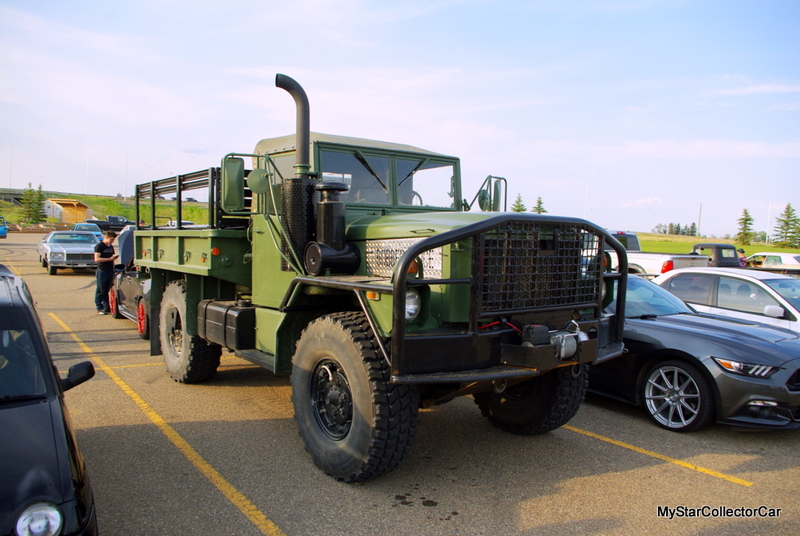 He’s going to take a slip tank for fuel, cover the truck bed and hit the road in the Bob Deuce. He explained it this way: “You only live once so you have to do some weird stuff now and then”—the M-35 just adds to the adventure.